You guys know how important sleep is for you, and sometimes when your a mama with two babies under 2 and a half, sleep is the one thing you will be deprived of (but it’s totally worth it right?!). Now I love to sleep, who doesn’t ? That feeling when you wake from a good deep sleep that not even your alarm buzzing will wake this heavy sleepy head- but lately this isn’t happening for me. 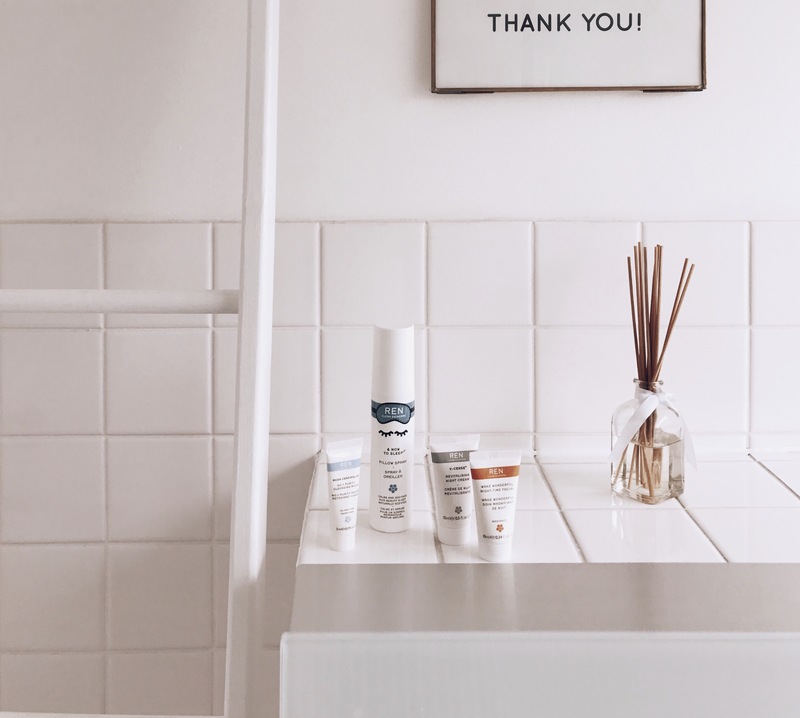 I have said and you will probably hear me say more of, I do function better with minimal sleep but sometimes I just need the good recommended seven hours to feel refreshed and energised (a girls gotta sleep!). But today’s modern life exposure means we are even more busier than we’ve ever been and there’s two important facts about sleeping that we know are true: it’s good for you and well it will improve your mood which is why I was beyond excited to try the new “& Now To Sleep” pillow spray which is formulated to help you scent your way to a deeper sleep. Naturally scented with frankincense to put your mind at rest, sleeping hops to calm and relax you, and lavender to help reduce anxiety, this spray will calm and soothe to aid your natural beauty sleep and promote a healthy sleeping pattern. It has the most amazing scent of frankincense and lavender (which my husband really liked too!) balanced with sleep inducing hops helps to calm that busy overthinking mind and induce a relaxed calm state and the scent of lavender In case you didn’t know eases the tension within the body and mind so this little spray is a no brainier! After trying this over the last two weeks I’ve noticed a huge difference in my sleeping pattern and it’s certainly helped me get to sleep at ease. 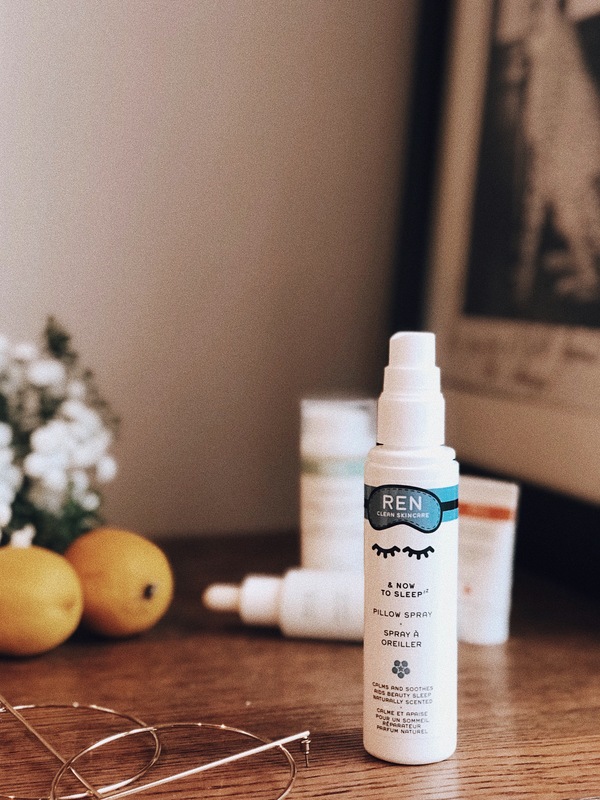 I’ve also noticed a difference in my mood as well as cleaner and cleaner skin, so REN I’m so thankful for you for creating this magical bottle of goodness! 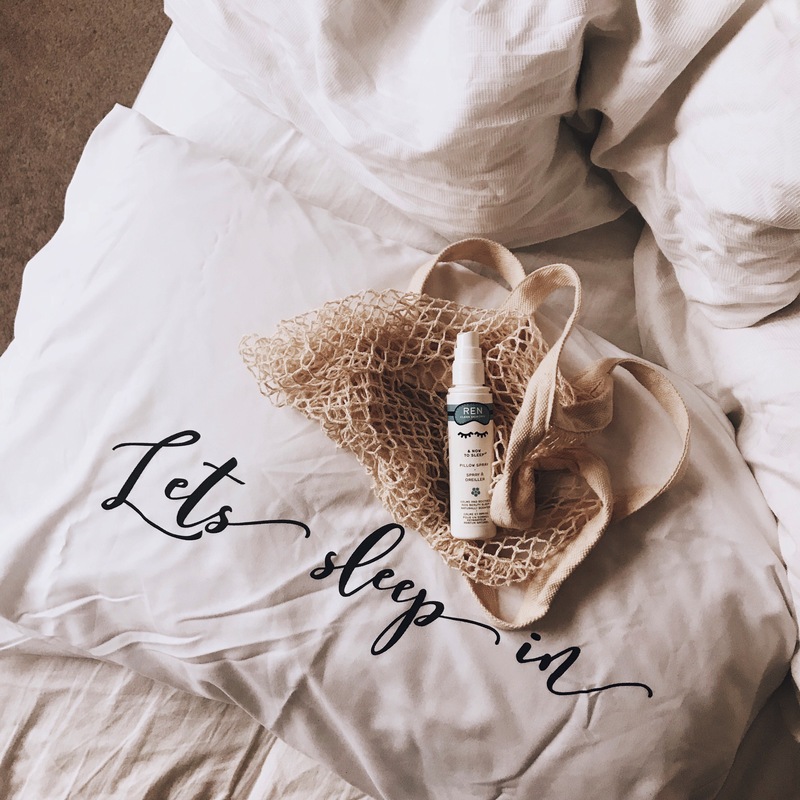 This is the perfect addition to your night time ritual and I’ve included my steps on my bed time routine and how best to use this spray! Make Up off- Before I go to bed, If I’ve been wearing makeup, it must come off! I just can’t go to bed with my makeup on and I’m always telling my sisters off for doing this! I always have a little bottle or glass of water by my bedside table. This helps the production of melatonin – which we need as it helps balance out the dehydration that occurs whilst sleeping. Spray “& Now To Sleep” onto your pillow and linen as you prepare to sleep. I also spray it first thing in the morning just to ensure a longer lasting smell! Turn off TV and get off that phone! Yes I always try to read a book before bed instead of TV as I found I couldn’t get to sleep as I was thinking of the next episode of The stranger things?! What’s your bedtime routine? Drop me a comment and share with me any other tips for a great night sleep! I’ve just bought this and hope to achieve a little more help with my sleep so I look forward to try spray on bed. 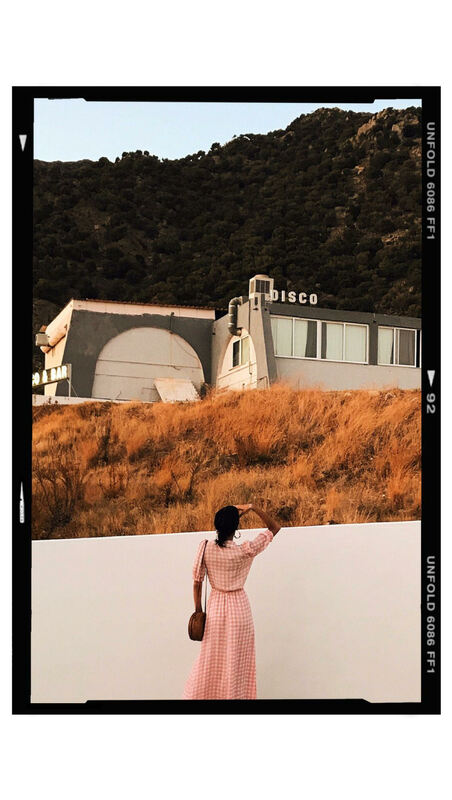 Beautiful photos and would love to try this if they sold this in the big US!